Here’s how you can run two apps at once in a split-screen environment on Apple’s iPhone X (or any other iPhone) without jailbreak. 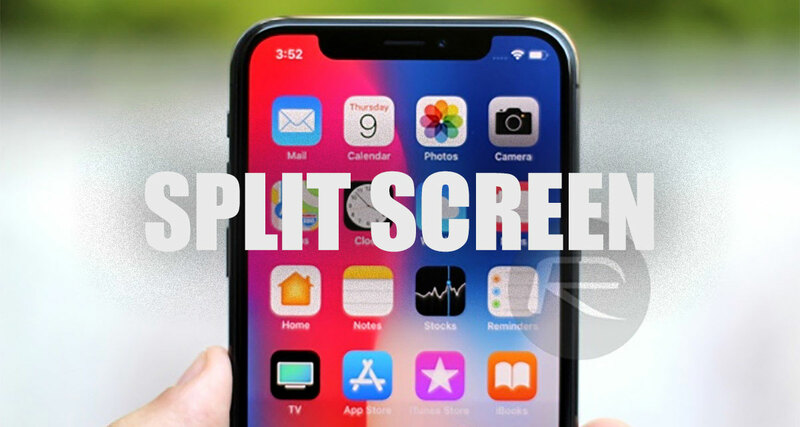 Many iPhone owners feel aggrieved at the fact that Apple doesn’t offer an official split-screen experience for that particular type of iOS device. Even after this feature has been available in iOS for iPad for years, Tim Cook’s company will likely have a reason why it’s not available for iPhone but that doesn’t negate how users feel about it. Thankfully, thanks to third-party developers, there is at least a solution of sorts for this problem now. Best of all, it doesn’t involve any jailbreak tweaks to work. Step 1: Because Apple doesn’t natively support split-screen multitasking or having multiple apps running in a single window on iPhone, we are going to have to employ the help of a third-party app. In this instance, we will be using the Splitware app. You can download that to your device free-of-charge directly from the App Store from here. NOTE: Splitware is compatible with all iOS devices running iOS 11.2 or later. Step 2: Wait for the download and install to happen and then launch the app on your device just like you would with any normal app installation. Step 4: Tapping on any one of those icons will instantly show the pre-defined split-screen experience. As an example, tapping on the Instagram and Twitter option will load up two split-screen webviews with the two social networks pre-loaded. This gives you the ability to scroll through both sites at the time on the same screen. Step 5: Tapping on the “S” icon in the app essentially gives you the option to choose your own two experiences from a pre-defined list of available options. And there you have it. A great way to simultaneously load up two apps in the same view on Apple’s iPhone. Granted, the Splitware app is limited to the fact that it doesn’t have access to the installed apps on the system and therefore cannot invoke the native apps on top of one another, and that it does it all while contained within an app and not on system level, but this is a fairly decent trade-off when you think that it doesn’t require jailbreak to achieve this. You will also have to put up with adverts being presented from time-to-time but once again it’s an acceptable trade-off for the use of a free-of-charge app. Yeah split screen would be nice natively, especially while watching YouTube and doing something else or perhaps typing up an email while jotting down an email from another app or having YouTube play above it. ….or maybe split screen is really not needed ?. I’ve seen the split screen on a pixel 2 xl and the experience wasn’t exactly great. It works on a tablet but I guess phones don’t really have the screen real estate to do split screen well. I could only see this being helpful if I can stream a movie/show while: texting, web surfing or playing a game that doesn’t require the whole screen for whatever reason. So you’re saying the split screen “apps” are basically webpages. Yeah not splitscreen apps then. Rubbish!!! All I can say. It’s only for websites and only what’s set by owner of app. this was done on iOS years before Touchwiz, in the form of a JB tweak. I was doing this in iOS 6. You just don’t know what you’re talking about kid. RedmondPie is trash. You guys don’t deserve to live.